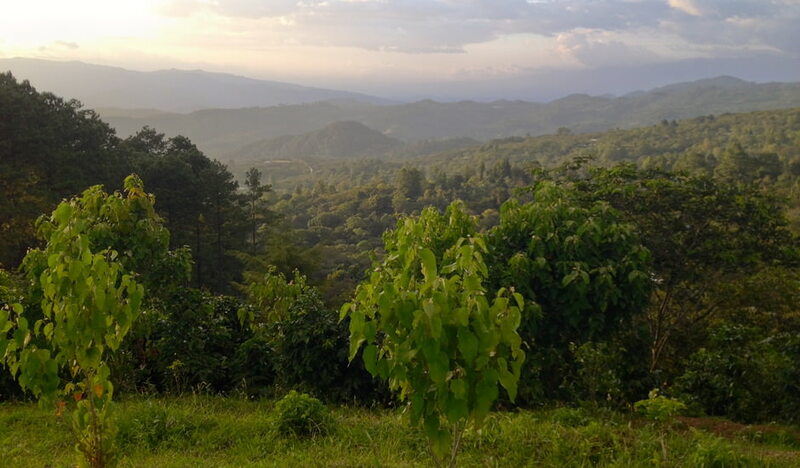 We are proud to have Toby’s Estate as one of our newest roasters. In addition to great coffee, they have the farmer’s interest in mind as well. Earlier this year Toby’s Estate raised over $4,500 for La Escuela De La Piedrona during their Honduras Education Drive. Below is a large excerpt from the Toby’s Estate Blog. We arrived with the plan to help seal and paint the cinder block school, and were able to spend the week helping to do so. But, while the Honduran government helps the school by supplying beans and corn flour for the children’s lunch, the school’s only storage room also had a leak in its roof. The silver lining to the current drought in Honduras is that reduced rains had meant less ruined food, but the structure still needed fixing. During our time painting, Moises helped to oversee a complete replacement of the roof, ensuring better weather-proof food storage. Now, with the painting all done, the school looks like a brand new building, and the classrooms are a much brighter and better place to learn. There are also still funds available to help improve the school. Currently, the head teacher Allan Omar Pineda Vasquez is the only instructor in charge of six grades, sixty students, and two classrooms. The school will greatly benefit from having another educator so one teacher can remain dedicated to each classroom and the pressure on Allan is halved. Marysabel and Moises are excited to make this a reality and are helping to find a quality teacher. *Photo courtesy of Toby’s Estate.